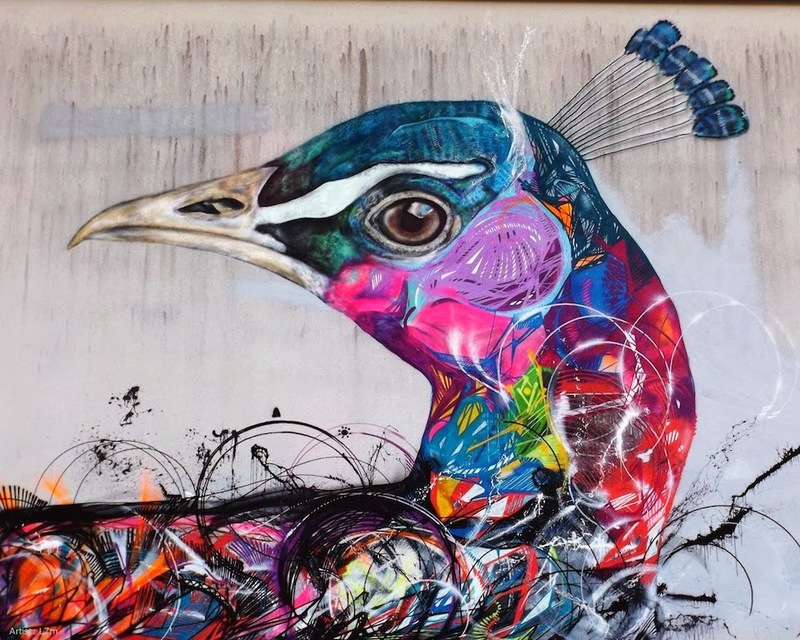 It still amazes me how much details there is in street art works. 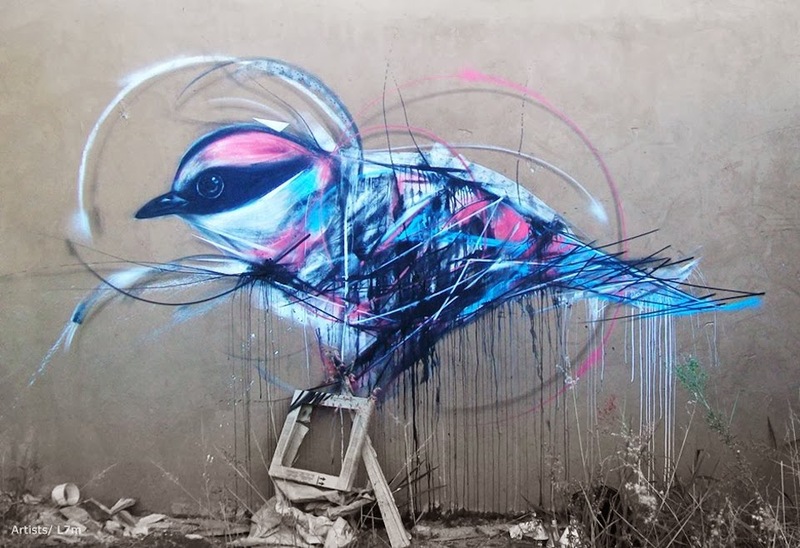 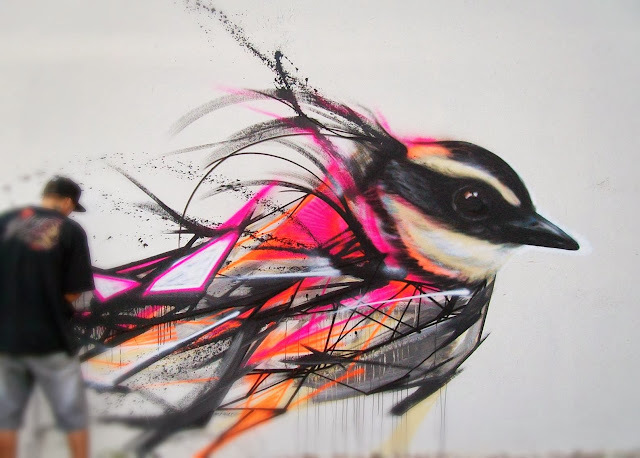 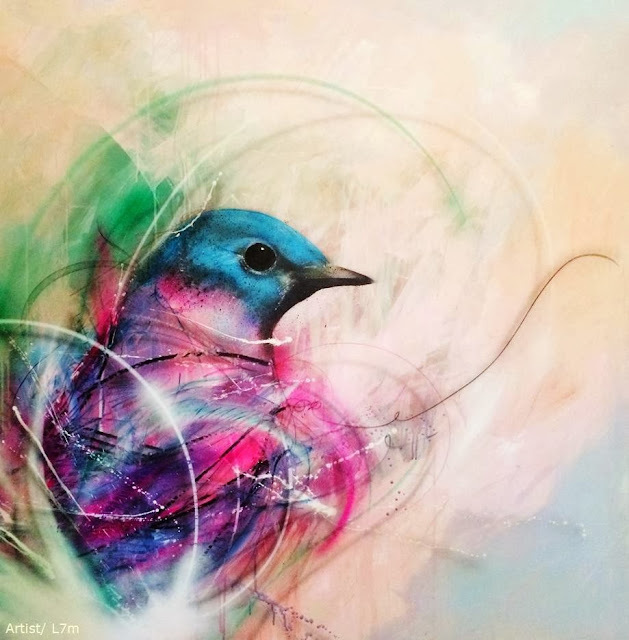 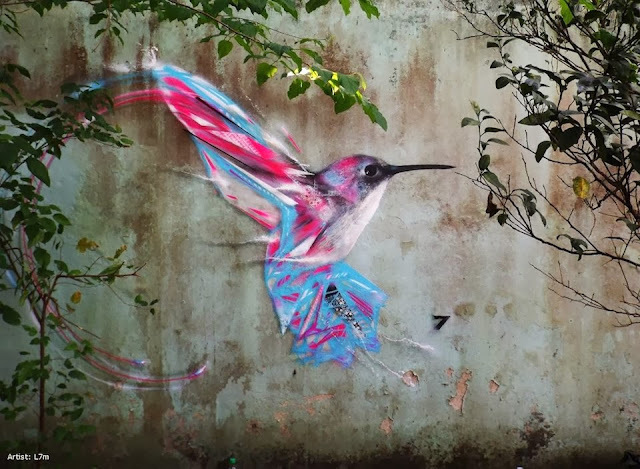 l7m uses a beautiful range of colours to portray his subjects, and I am completely in love with the first piece of his work pictured above because of the spontaneity of the bird. 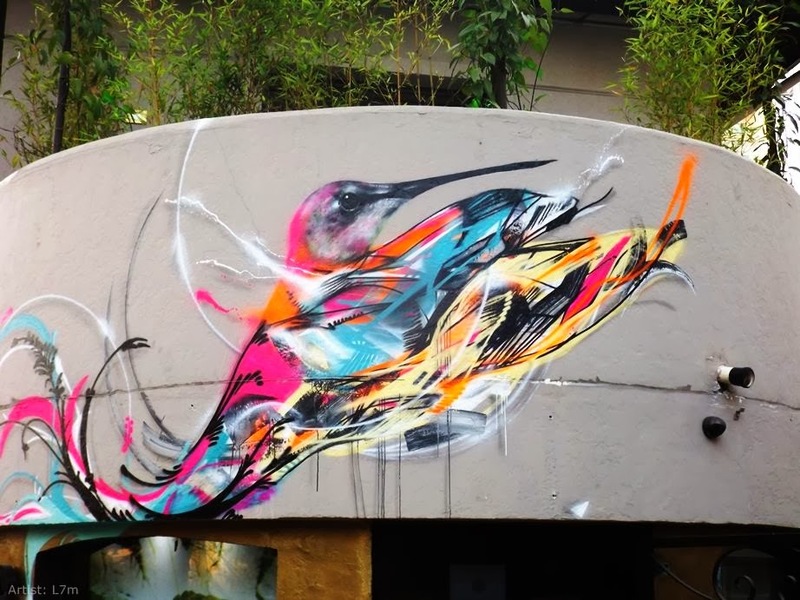 View more of his works via his Facebook.